' Fresh tomatoes, Mozzarella and Basil - Sisters, What! It is late here on the West Coast and I should be studying. It is the first week of school and I am just not back in the swing of things yet. I loved my break, but being off sense March has just made that much harder to get going. So while I sit here "studying" these photos I took last week keep staring at me from my desk top just calling to be blogged about. I love fresh tomatoes, ask anyone in my family. It is about the only plant that I willing plant and weed. 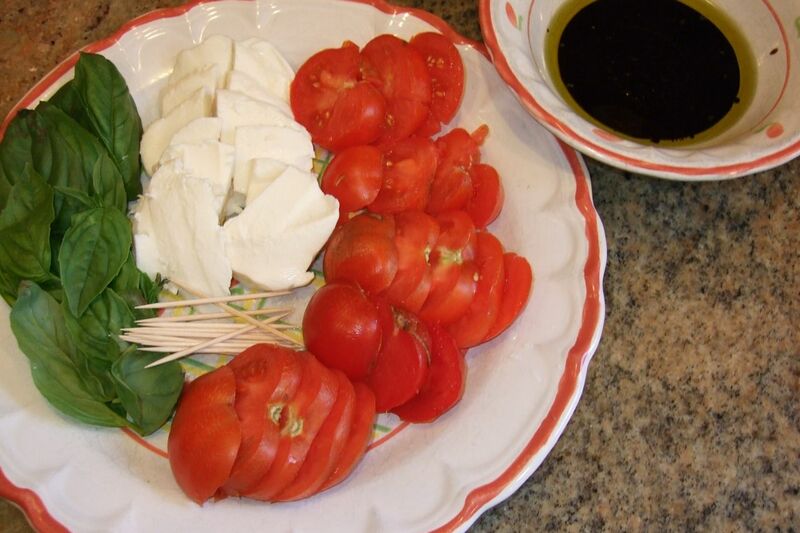 This summer I was introduced to a tomato, mozzarella and basil salad and just loved it. And I have seen it pop up all over the web, so here is my very simple version. 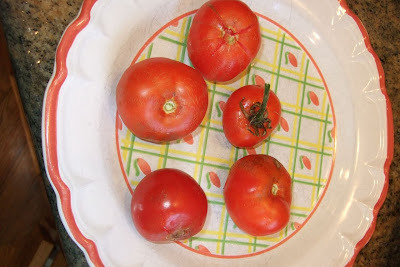 Tomatoes, best right of the vine. These are the first tomatoes this summer!!! I just cut everything up and then My Mom and I each made our own bites and dipped in Olive Oil and Balsamic Vinegar. I loved this because then I was able to save what we didn't eat for later. Without having it over marinate in the dipping sauce.!! I just tried this at a picnic this week and it was delicious!! now i will have to make some with our own tomatoes. Thanks for shaing! Sound yummy. I never can find basil that looks that fresh. We do a similar salad that includes sliced cucumbers as well. Joy, basil is easy to grow, and so much better when you can walk out your door and pick it! Joy, check out Safeway, that is where I got the Basil. Though Mom has now planted some.